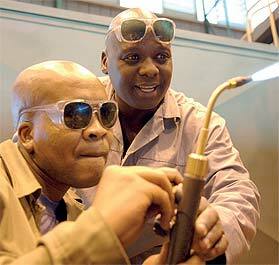 The shortage of skills is a serious problem in South Africa. It affects every sector of our society and adds to the high unemployment and poverty rate. To solve this problem, government set aside millions towards training unemployed people. 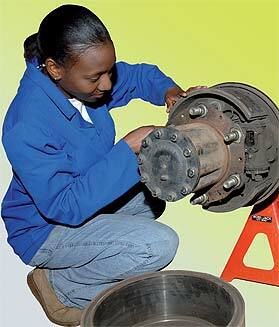 Training programmes help ordinary people to get skills that empower them to find jobs or start businesses. Among those that will benefit from the skills development programmes are former members of the liberation struggle across political lines. These include former members of Umkhonto we Sizwe, Azanian People's Liberation Army Self Defence Units, self protection units, commandos, community constables and members of the previous government's police force. Chairman of the Umkhonto we Sizwe Veterans Association (MKVA), Emmanuel Maphatsoe, told Vuk'uzenzele there were about 15 000 former members of these units countrywide. 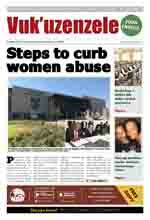 The Ekurhuleni Metropolitan Council started a project to put such former members in different training programmes. Some private companies have shown interest in training and later employing them in agriculture, information technology, construction, electrical work, engineering and at call centres. Former members of the units are trained by the Safety and Security Sector Education and Training Authority (SSSETA), Maphatsoe said. 'Training will ensure that they realise how important it is to have other skills than using guns,' he said. The MKVA arranges meetings with trainees to ensure that they are not involved in criminal activities. The MKVA joined forces with some construction companies so that they could share their knowledge in building and management. Maphatsoe said the MKVA also has an agreement with some farmers to use parts of their land for agricultural activities. Government has given the SSSETA R56 million to continue training former MK members. The project leader in Ekurhuleni Metropolitan Council, Ugeshni Naidoo, said the programme helps former members of the units to become useful members of the community. 'The Council will help speed up their training because it is real community empowerment,' she said. A private company has already started identifying job opportunities for them. 'The project is a social contract where government, former members of the units and business work together to improve the lives of unskilled members in our society,' Naidoo said. This year, the MKVA also registered a trust to help the children and widows of some members who died. The funds raised will be used to pay for school fees, uniforms and food.